Content: There are some unsettling moments and a couple of characters die. The book would be in the middle grade (grades 3-5) section of the bookstore if we had it. I know I’m not supposed to start a post like this, but: I wasn’t terribly thrilled about reading a book about a girl with tuberculosis in the 1940s. 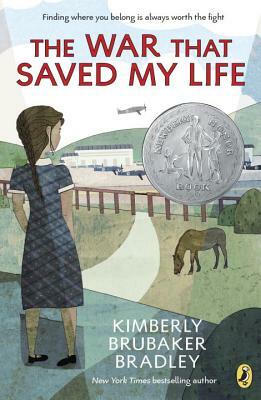 The main character, Evvy, is shipped off to a sanatorium because she has TB and her family hopes she can be cured. And it was surprisingly engaging and actually kind of gripping. I’ve not read many sick kids books (tending toward the cancer end of them), but I was fascinated not only by the treatments used in the 1940s, but just the general mood of the book. Evvy wanted to get better, and her body was fighting her, so there was that conflict. There was a camaraderie between the girls in the ward, but they were sick, so things that were outside of their control constantly interfered in their lives. It made for a very good story. I was also fascinated by the historical pictures that the author put at the beginning of every chapter, as well as the small details she included in the book. It wasn’t anything that slowed the story down, but it added an extra layer to the story that I didn’t expect. It really was a good read, and one I’m glad I did. First sentence: “It was the summer when Now and Laters cost a nickel and The Fantastic Four, a buck. Content: There’s some drug dealing and stealing, but it’s all incidental to the plot. There’s a wee bit of romance. 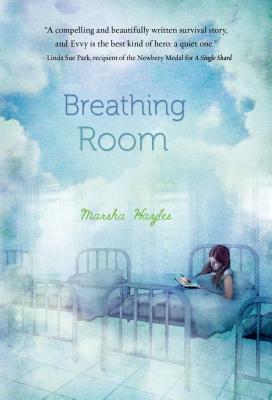 Crossover is in the Newbery section, and so I might put this one next to Booked in the Middle grade (grades 3-5 section) or I might move it to the YA section (grades 6-8) where it feels like it should go. Even though this one is a pre-quel to Crossover, you really should read that one first. It’s 1988 and Charlie Bell, the father of the characters in the Crossover, has just lost his father to a major heart attack. It’s the end of his 7th grade year and the loss — and the subsequent grief of both him and his mother — has put Charlie at odds with the world. He doesn’t want to deal with school or friends or his mother, even though he tries to put his father’s death out of his head; all he wants to do is sit and read his comic books. But then, he gets mixed up a bit with his friends older brother, and gets caught stealing (nothing major though), so his mom ships him off to DC to his grandparents (his father’s parents) for the summer. 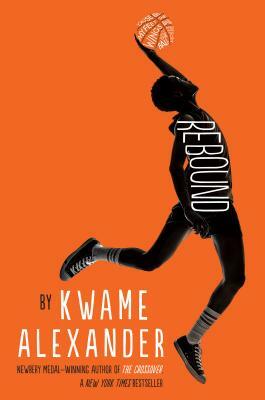 It’s there that he learns how to deal with his dad’s death, and finds a passion for basketball that stays with him the rest of his life. I’ve become a fan of Alexander’s in the years since his Newbery win, and this is no exception. It’s a lot geekier than his other books — there are comic poems, to reflect Charlie’s love of the comic book, and he’s not a suave as his kids turn out to be. But, it still has Alexander’s signature poetic style, and it tells the story of a kid coming to terms with his grief extremely well. I loved the 1980s references (throwback to high school!) and I thought Alexander handled the girl characters much better in this one (in fact, Charlie’s cousin, Roxie, is pretty amazing!). I picked this up because I think Ada Lovelace is the BEST, and there needs to be more about her. 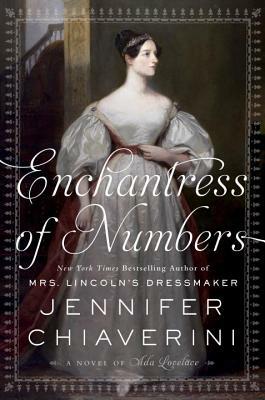 And so I was excited that Chiaverini wrote this historical fictional biography of her. Except. This wasn’t the biography I wanted. This follows Ada Byron from her mother’s short marriage to Lord Byron through to… well… I don’t know because I didn’t finish it. I wanted to, I kind of liked what I was reading, but honestly? It wasn’t that great. It wasn’t bad. It was just long. And kind of boring. And I don’t know why I didn’t bail on it sooner. I guess I hoped it would get better. But, it didn’t, and even though I love Ada and think she’s a mathematical genius, I just didn’t like this book. Content: It’s written in dialect, which might throw some readers off. It’s in the Newbery award section at the bookstore. 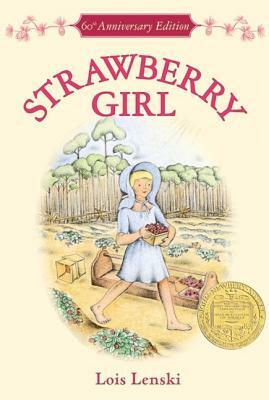 I remember reading this one when I was really young, maybe 2nd or third grade, when I was going through my pioneer stage. I was fascinated with old fashioned life, and the way settlers lived, and this one, though set in the early 1900s, fit that bill. Honestly, I think this one holds up pretty well. Lenski interviewed a lot of “Crackers”, original white settlers in Florida, and used their stories as a basis for this book, which gives it an understanding that would be missing if she hadn’t. I liked Birdie, her fire and her determination, and I was surprised at just how spiteful the Slaters were towards these outsiders. There’s also a strong class division running through the book — one I’m sure I didn’t pick up on as a kid — with Birdie’s family being able to afford nice things because they were disciplined. This plays into the “American dream” narrative — if you just work really hard, you’ll be rich — which I’m not sure is a good narrative to have around anymore. And the ending was surprisingly religious: you find God, you can be saved and change your evil ways. Even so, it was a sweet little book. Content: There’s some violence, but it’s off screen. It’s in the Newbery Medal section of the bookstore. I adored this book when I was a teenager. I don’t remember how I got this book, or why I got it, but I do remember reading and re-reading it endlessly. In fact, my copy, which I still have, is quite battered. 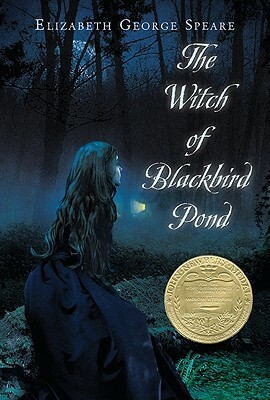 I’m knee-deep in a Newbery Medal section of my class, and I thought I’d take the opportunity to see if this story held up to my recollections of it (and if I could remember why I liked it so much). Kit Tyler is in a precarious position: raised by her grandfather on Barbados after her parents’ deaths, she is left penniless and mostly without family after his death. So, she throws everything on traveling to America, to live with her mother’s sister, whom she’s never met, in a Puritan Connecticut settlement. 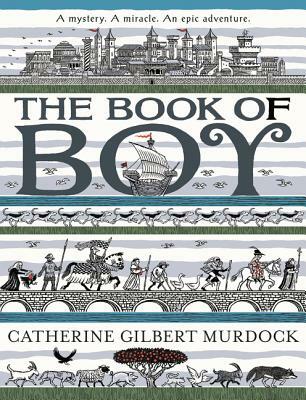 For most of the book, it’s a fish-out-of-water story: Kit tries and fails to fit into this strict religious community. She’s flashy, she’s never worked (they had slaves; I found some of the dichotomy between the British slave-owners in the Caribbean and the land owners in America to be interesting), she, of course is always in trouble. But Kit’s growth arc in this book is significant: after meeting Hannah, a Quaker who is ostracized from the community because she doesn’t attend Puritan services and branded a “witch”, Kit learns that having friends and helping others really is the best thing. Oh, and then there’s Nat. Actually, I think, in the end, it was the love story between Kit and Nat that I liked as a teenager. I liked the push and pull of their relationship, how neither of them quite figured out they were Meant To Be until it was almost too late. It was very satisfying, to say the least. The other thing I got out of this was that Puritans were Awful. At least in historical fiction. They are quick to judge, closed-minded, insular, and set on being against everything that is different or not plain. I don’t think Speare set out to condemn them; they’re not wholly bad as a group and there are some redeemable characters. But as a whole, Purtians are definitely awful. In the end, I’m not sure I liked it as much as I did when I was younger, but I do see why I liked it so much. And it’s a good book, overall.